When minimum space is required, this heavy-duty 16 AWG steel bracket is a great alternative to a full-sized rack. 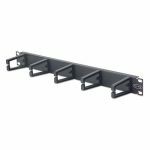 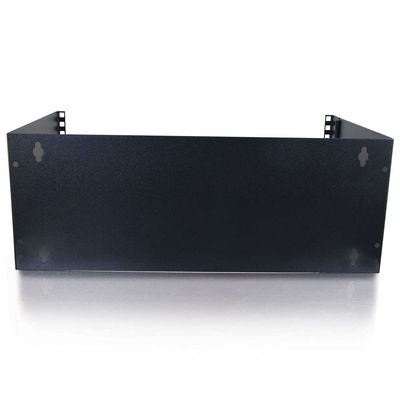 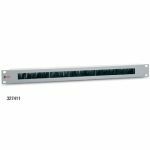 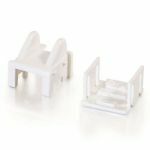 Designed for standard 19-inch patch panels, the bracket's hinged design enables convenient wallmounting of patch panels and small equipment while it saves valuable floor space. 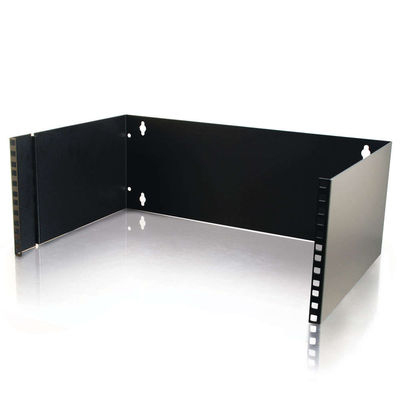 The bracket provides universal mounting for right or left hinging. 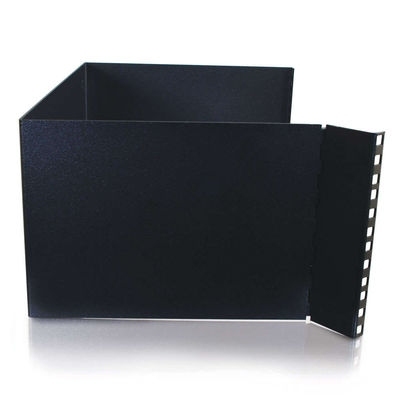 Has a black powder coat finish. 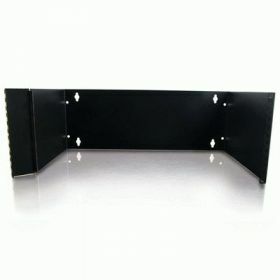 For EIA spacing, it accepts either 10-32 or 12-24 screws.